The factory at Closter Veilsdorf was established by the younger brother of the Duke of Sachsen Hildburghausen a few miles from the court theatre. It was the only porcelain factory in the principality. Wenzel Neu was modelmeister at the factory from 1763-67. 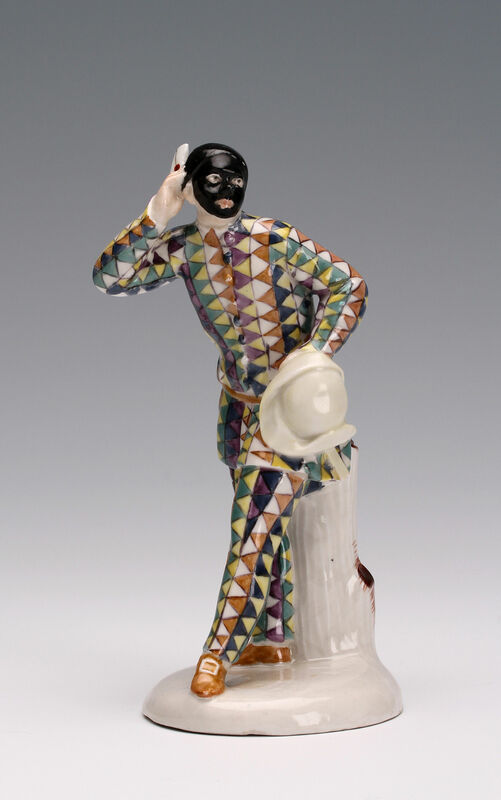 The figures from the commedia dell’arte are believed to be amongst his earliest creations. 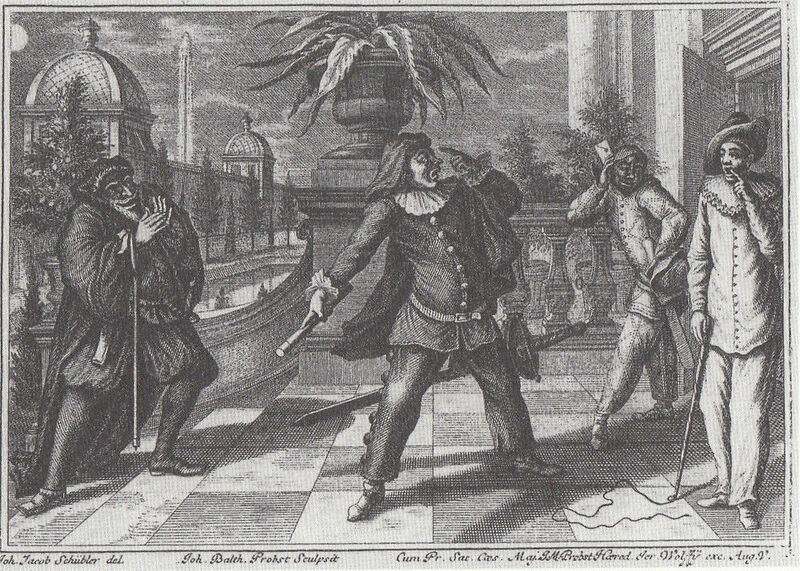 The series of ten figures are taken from a set of twelve drawings by Johann Jacob Schübler which had been engraved by Johann Balthasar Probst and published in Augsburg in 1729. 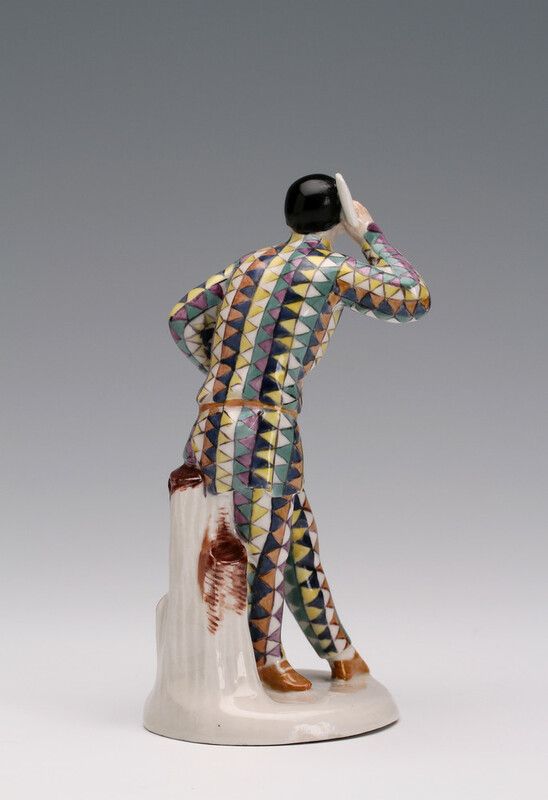 In this figure harlequin is shown delivering a fake love letter to a lovesick Capitano. 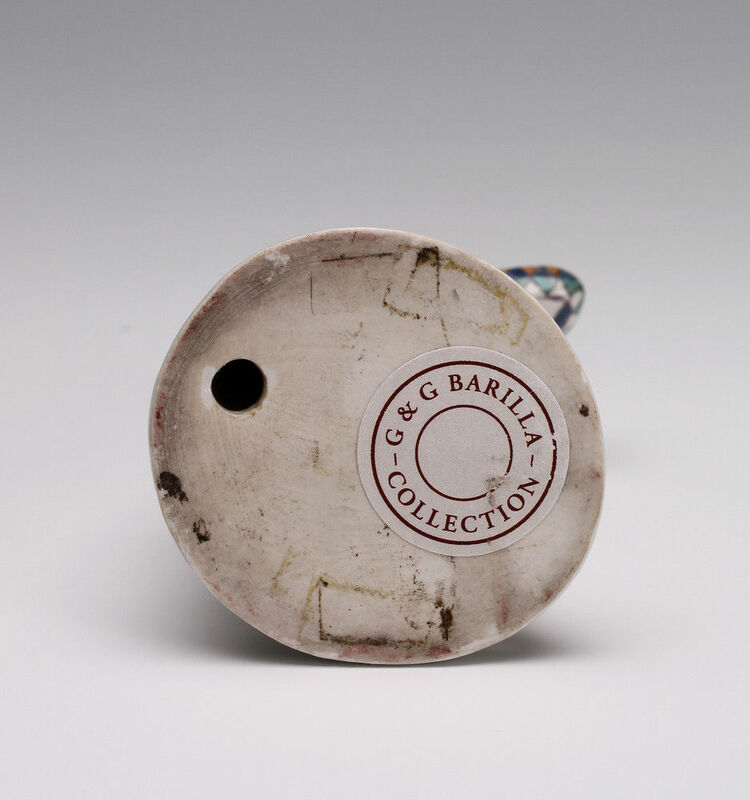 Condition – Two thirds of the letter in his right hand made up. Tip of slapstick missing.